Please note: This product contains Sulphur Dioxide or Sulphites (>10mg/kg total SO2). This product contains Egg and Egg products. This succulent, berry-flavoured wine has a vibrant fruit character unencumbered by oak. The broad palate comes from its full ripeness, coupled with a soft structure, producing great-value red that is typical of the style. Try with lamb or beef dishes. 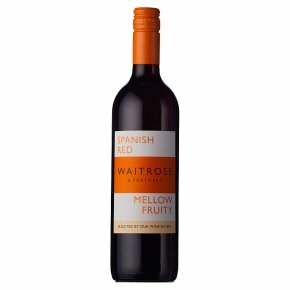 Mellow and fruity. Bottled in North East Spain. The taste....Soft, fruity and mellow as a Sunday afternoon, with ripe, jammy fruit flavours. Made from....Juicy Garnacha grapes, grown in the Spanish sunshine.